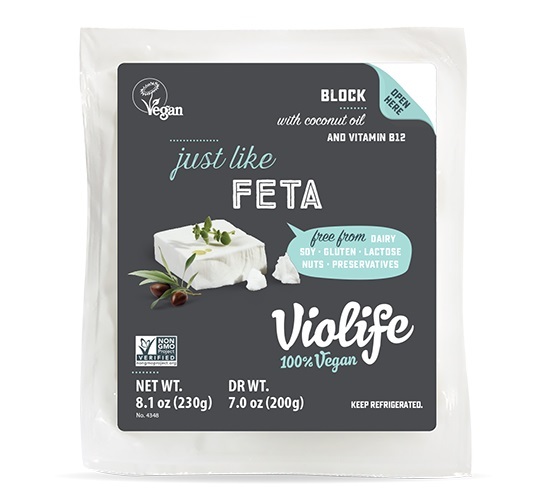 Wondering where to buy Violife cheese in the USA&quest; Look no further! This item is a refrigerated item and should be kept below 46 degrees Fahrenheit. Orders with refrigerated items in them will only ship Monday-Wednesday. Customer assumes all risk for shipping perishable foods unrefrigerated. Customer understands that Country Life Natural Foods will not be held liable for refrigerated items that arrive in unsatisfactory condition. 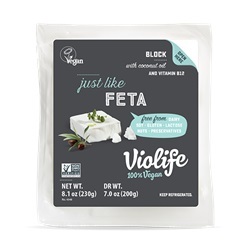 We’ve looked to our Greek heritage for inspiration with this flavor, toss in a crispy salad with olives and cherry tomatoes or melt into a Portobello mushroom for a delicious snack. Filtered Water, Coconut Oil, Potato Starch, Salt (Sea Salt), Glucono Delta Lactone, Flavor (vegan sources), Olive Extract, Vitamin B12.